I recently came across an amazing podcast by the founders of NewStory – a non-profit that is building safe, long-lasting homes for extremely poor families in places like Haiti and El Salvador. It’s moving to say the least how NewStory is changing the lives of full communities. This holiday season my wife and I are leading the charge to build one new home for a deserving family. 1. 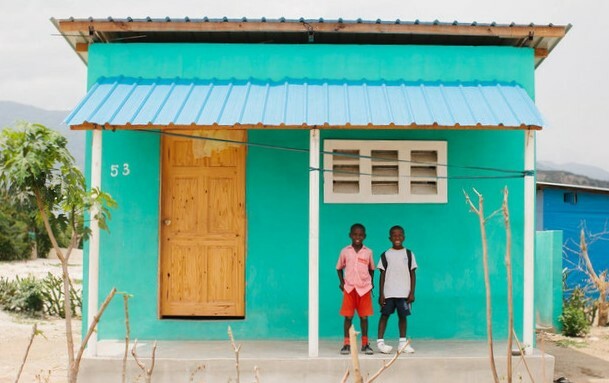 In addition to building hurricane-grade homes, Newstory creates the infrastructure for entire communities to thrive- including schools, sanitation, and renewable electricity. 2. 100% of donations directly fund home construction – all overheads come from other sources. You can even see a full breakdown of the expenses after building over 150 homes. 3. Each donation helps a specific family. Once we reach the goal of $6,000 to build a home the family records a video for us to hear their story.